The Lost 45s with Barry Scott|3/12/19-Queen Sequel? 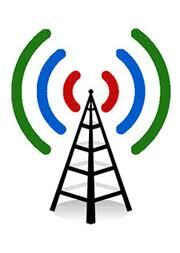 Radio Programmers: CLICK HERE TO CONTACT US! The Lost 45s Live Dance! Sign up for "The Lost 45s" Newsletter! Solid Gold Members: log in! Commercial free database of shows on demand! Our online service offers you the ability to listen to weekly shows and a large database of past shows (2010 til today), classic programs and themed box sets at your convenience! Listen online, phone or pad! Plus, hear "The Lost 45 of the Day!" Details HERE! Why "The Lost 45s" show? The 70s/80s show everyone tries to copy! • Over 950 EXCLUSIVE artist interviews! • 60+ commercial radio markets! • Hear stories behind the records! • The largest TV/Movie/News clip library! • Don't let The 1% of hits dominate! • Become the era's music authority! • Fiercely loyal appointment listening! Queen could be planning a sequel to their blockbuster biopic "Bohemian Rhapsody," according to a longtime confidant of the band. The movie was a box office and awards season hit, earning more than $875 million worldwide and four Oscars, including a Best Actor gong for Rami Malek, who played Queen's iconic front man Freddie Mercury. Rudi Dolezal, who directed videos for the band, including for their 1985 hit One Vision, and was close to Freddie, says their legendary manager Jim Beach and others around the band are discussing how to proceed with a follow-up. "I'm sure he plans a sequel that starts with Live Aid," Rudi tells the New York Post's Page Six gossip column, adding that the project is "being heavily discussed in the Queen family". Bohemian Rhapsody showed the beginning of Freddie's battle with the HIV virus that eventually killed him in 1991, but ended on a high note with their famous 1985 performance at the Live Aid charity concert in London. 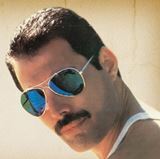 The decision to end with Queen's famous return to the limelight after years of infighting and a commercial lull meant excluding their later material, including iconic hits like One Vision, I Want It All and A Kind of Magic, as well as Freddie's famous duet with Montserrat Caballe, Barcelona. Rudi directed many videos for the band during this period, including These Are the Days of Our Lives, the final video shoot the rocker took part in before his death. The biopic was criticized by some for failing to detail the final stages of the flamboyant front man's battle with AIDS, a fight that could be addressed in a sequel. A rep for the band's record label Universal Music Group tells Page Six they have not heard of any plans for a follow-up. However, Bohemian Rhapsody boosted sales of Queen's music hugely, and the film's title track is now the most streamed song released in the 20th Century. 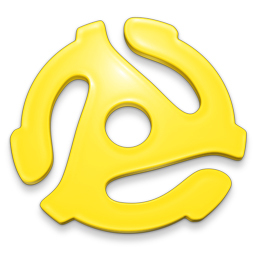 "The Lost 45s" is a Federal Trademark. No use of the term or rebroadcast of the show is allowed without prior written permission.